Don’t mess with people who keep your deepest secrets in life. Your closest buddy can turn to be your worst foe. The well-endowed and curvaceous Risper faith who recently got born again has been exposed by her school mate who claims that she used to urinate on her bed back in the day when she was still in school. The socialite with voluptuous curves attended Lugulu Boarding primary school in webuye, Bungoma County, the same school where her ‘enemy’ was a student. 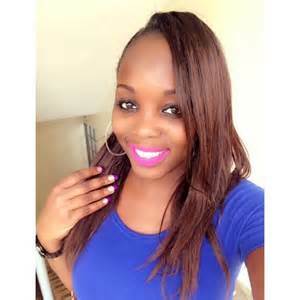 Her friend-turned-enemy revealed that Risper faith used to sleep in the first bed in Nzoia Dorm where she used to perform the embarrassing act. This is absolute nonsense! Why spoil or tarnish a person’s name when he/she becomes ‘famous.’ There are better ways to resolve conflicts other than washing your friend’s dirty linen in public, more so in broad day light. Is she naive or something because to me this is insanity of the highest order. I only meet stories related to this one is politics and I don't expect anyone to go against the other simply because they had a small disagreement. Don't take advantage of situations. I am not on any side but come to think of it, wetting the bed ain't a crime and it will never be. There is nothing abnormal about it. Risper’s ‘enemy’ needs to style up and grow up.